1. Pope Benedict XVI - announced his resignation. 2. My boss announced she is leaving for new position in another state. 3. a co-worker and friend announced her retirement for later this year. 4. my Daddy announced that he is retiring in June of this year. So far, 2013 seems to be the year of changes. Saturday a friend of a friend contacted me to make her a card to give to her child. Of course I said yes! She continued on and asked what the cost would be. Her: You know the cost of your cards, so I know can pay you? I know others charge and get paid in this business, to do something they love but to be honest, I never that what others would be interested in paying money for the stuff I make. Sure I know they like and appreciate the items I make and give, but to pay. 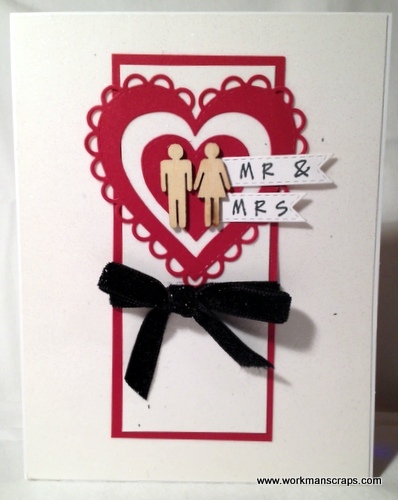 So, yes - I finally had a commissioned card and here is the result. The letters are Graphic 45 Antique Typewriter Wood Stamp Set and the hearts are from My Creative Time's 100% Sweetness Stamp Set and Stitched Heart Layering Die. 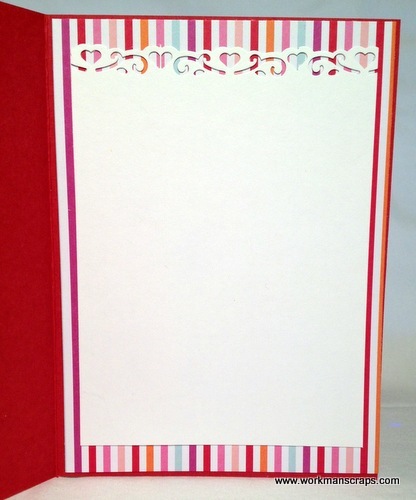 The pattern paper is an American Crafts 6x6 paper pad found at Target. 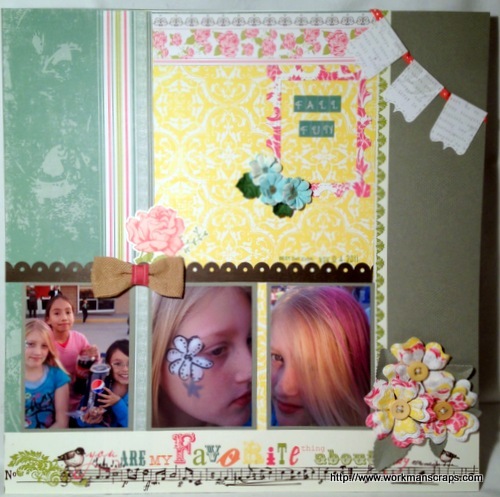 Ribbon and twine are from my stash and the pennant is from Elle's Studio You and Me collection. To glue it all together, I used Glue Dot's Mini Glue Dots and Scotch Tape Glider. I was so excited about this one but I believe it had more to do with the fact that someone (other than my friends/family) liked what I do enough to be willing to pay me for it. Over the weekend I helped host a Pampered Chef Wedding Shower and I have to say, that was fun! Thirty ladies trying to watch a cooking demonstration in one kitchen - LOL...not the best idea but it was exciting. The Bride-To-Be loved it and that's what matters. 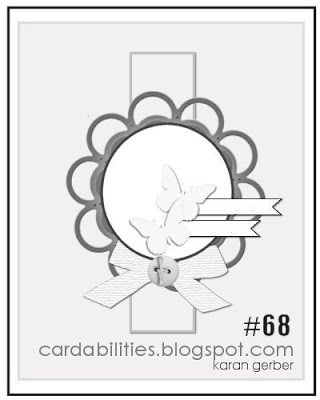 I started with this sketch from Cardabilities Sketch #68. Here is my take on the sketch posted above. 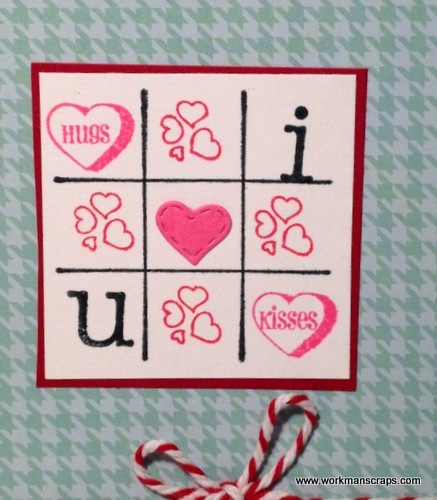 The hearts were made using My Creative Time's: Stitched Scallop Heart Die Set and the letters are from Just Simply Live Stamp Set. Also, the ribbon is from my stash and Studio Calico wood veneers. 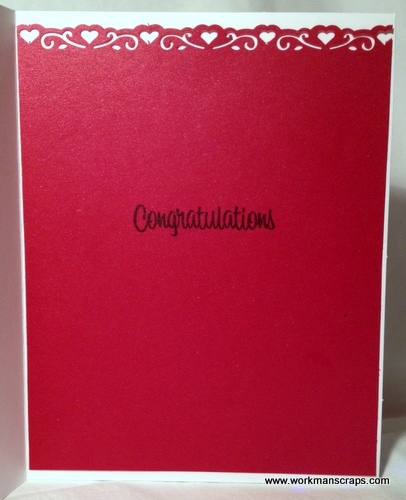 Congratulations sentiment is from My Creative Time's Vintage Sentiments Stamp Set. 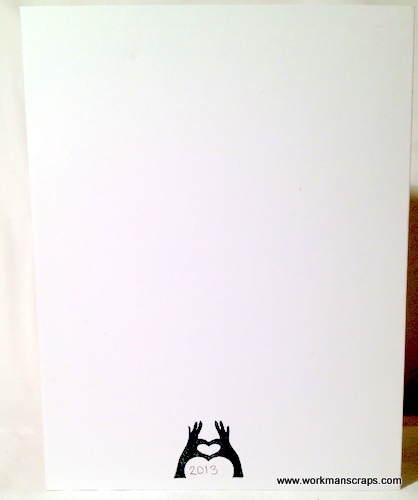 And on the back, I added this super cute little heart of hands from My Creative Time's Lots of Love Stamp Set. 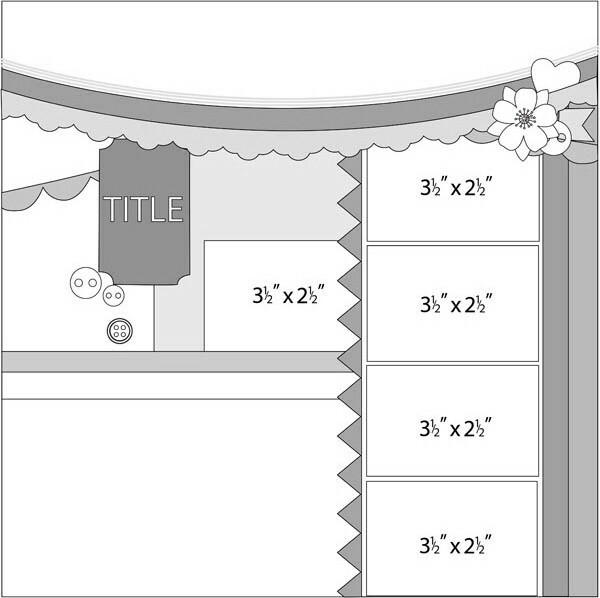 Welcome back to another fun filled challenge with Graphicat Sketches. For today's sketch challenge, I used an image and anti-valentine's day sentiment from Graphicat Designs to showcase this beautiful sketch for Graphicat Sketches sketch 21 challenge. I am loving this image and sentiment from Graphicat Designs. The pattern paper is My Mind's Eye Union Square 6x6 paper pad. And below is the inside of the card. 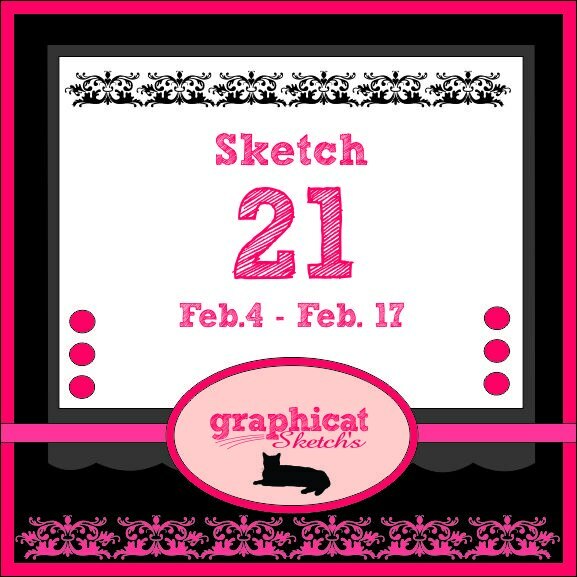 So go over and grab yourself sentiment or two and start playing along with Graphicat Sketches challenge. Head-case Girl meets Lonely Boy...blah blah blah...you've read this already, right? *insert evil laugh* OK, maybe....not? What do say when the book you read leaves you speechless...? The Sea of Tranquility by Katja Millay is the most intriguing, humorous and dramatic novels read in a long while. Goodreads description, "The Sea of Tranquility is a rich, intense, and brilliantly imagined story about a lonely boy, an emotionally fragile girl, and the miracle of second chances." I have to admit it took me a few times to get into this one, even with the interesting start. The story line alternates but the perspectives of Nastya - walking in the wrong place at the wrong time and Josh - who is the living equal to Death (personified) and everyone knows it. The characters, Nastya and Josh are both lonely in a sea of people and have endured more tragedy and heartache than any other high school student I know. Drew carries demons of his own but tends to hide it better than most. It wasn't until later into the story, reading how lives interweave and form (in spit) of the gut-wrenching devastation that is revealed much later in the novel. What made The Sea of Tranquility crawl into my heart and live there is the friendship and familial bond formed between Drew, Josh and 'Sunshine' that made this story. One of my favorite parts in the novel, toward the end, is dialog between Josh, Drew and Nastya's mother. So to answer to my first question; yes there are books out there that tell stories about the path leading a boy and girl together but nothing (so far) compares to the portrait Katja Millay paints with Josh, Nastya and Drew. 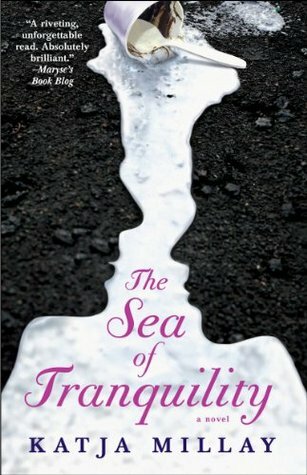 I cannot NOT recommend The Sea of Transquility by Katja Millay is a MUST read Young Adult novel for 2013. If you do decide to give it a chance, let me know your thoughts once you've read it. Thank you Netgalley and Atria Books for providing a copy of this book in exchange for an honest review.